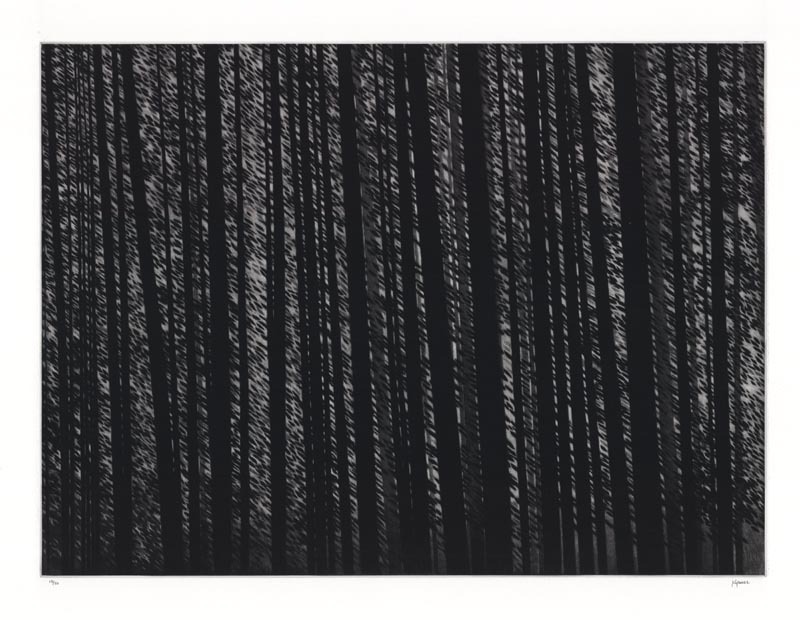 Forest murmurs. Robert Kipniss. 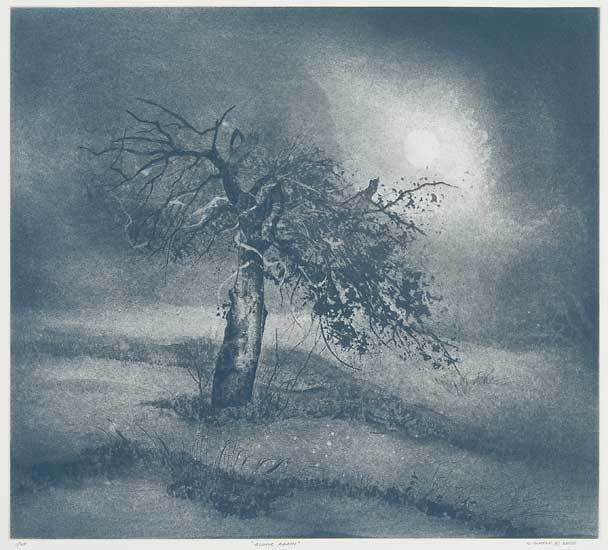 Mezzotint, 2010. Image size 14 5/16 x 19 3/8″ (363 x 493 mm). Edition 50. Exhibition: October 18 through November 22, 2014. The Old Print Shop (our NYC partner gallery) is proud to present a new contemporary exhibit of over 30 recent works by Robert Kipniss. The exhibit opens today, and runs through late November. 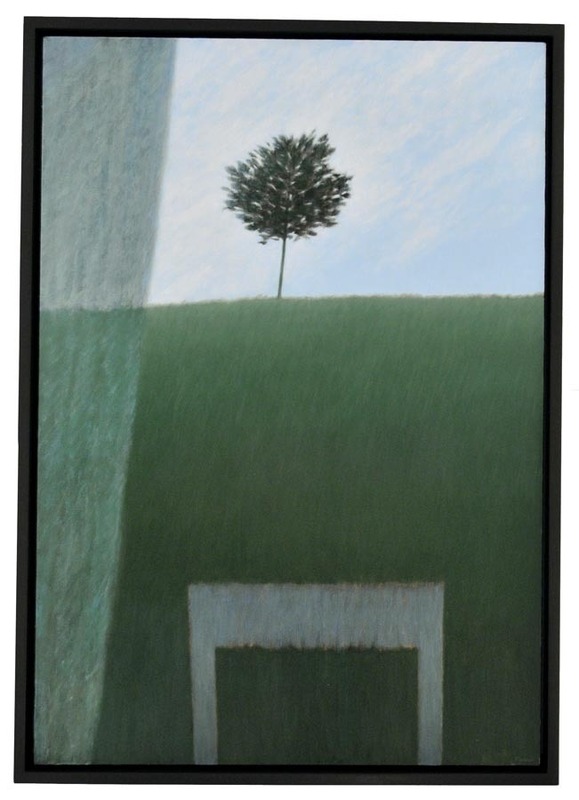 On view are paintings, prints, drawings, and poetry by this exceptional artist. Please make a point to stop by the NY gallery to see the show in person, or attend the Artist’s Reception next Thursday, October 23, from 4:30 to 7:00pm at the 152 Lexington Avenue gallery. And on the Hill, Two Trees. Robert Kipniss. Oil on canvas, 2013. Canvas size 30 x 40″ (76.2 x 101.6 cm). 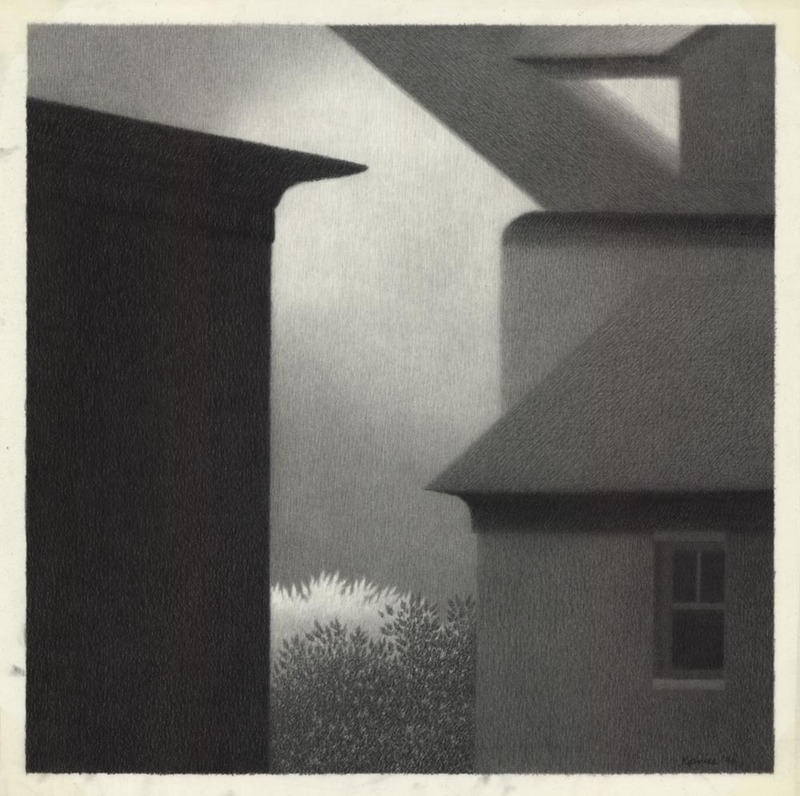 Robert Kipniss – Painter, Printmaker, and Poet – was born in Brooklyn, NY, in 1931. 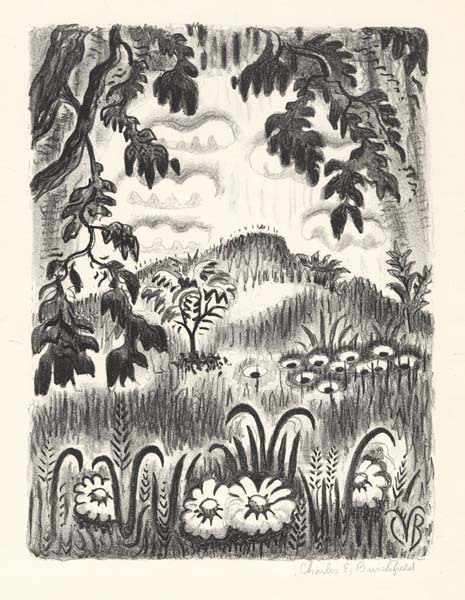 In 1936, his family moved to Laurelton, New York, where he discovered the pleasure of being in the woods. His early love of the forest continues to this day in his images. He is often inviting the viewer into his private woods. In 1947, he took Saturday classes at the Art Students League and the next year he left for Wittenberg College (now University) in Springfield, Ohio. While at Wittenberg, he began to write poetry. By 1950, his passion was poetry, and he decided to major in literature and transferred to the University of Iowa. At the University of Iowa he took his first formal painting classes. In 1951 he entered a painting competition in New York City and was awarded his first one-artist show at the Joe Gans Gallery on 57th Street. Kipniss has had over 180 one-artist shows since his first in 1951. Window w/Curtain & Hill. Robert Kipniss. Oil on canvas, 2013. Canvas size 36 x 25″ (91.5 x 63.5 cm). In 1950, Kipniss made the decision that he was going to be a poet and a painter; however, life’s many turns often modify decisions made early in life. In 1961 he was working for the post office, painting, writing poetry, and supporting a family. Something had to give, so he made the decision to continue as a painter and support his family, which meant that he would stop writing poetry. The change was profound for his work to this day. His paintings and later his prints became poetic, mysterious, and inviting. Trees, a composition. Robert Kipniss. Mezzotint, 2014. Image size 9 1/2 x 11 1/2″ (235 x 295 mm). Edition 30. 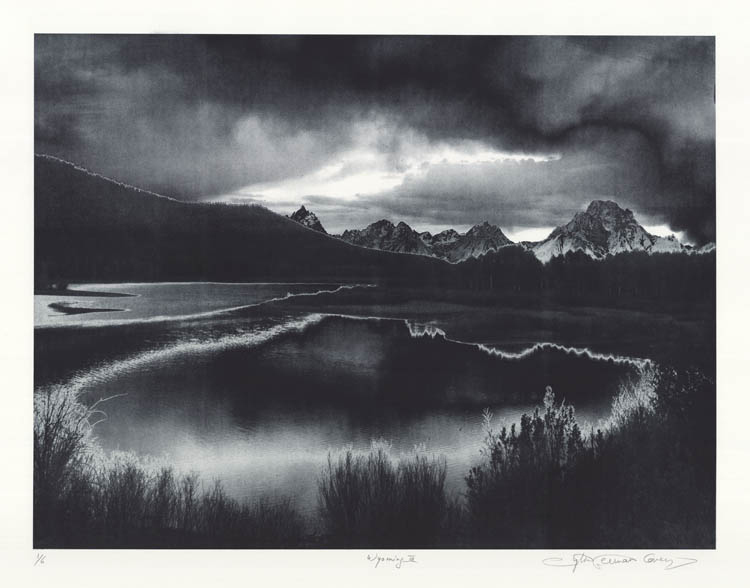 He made his first prints, drypoints, in 1967. 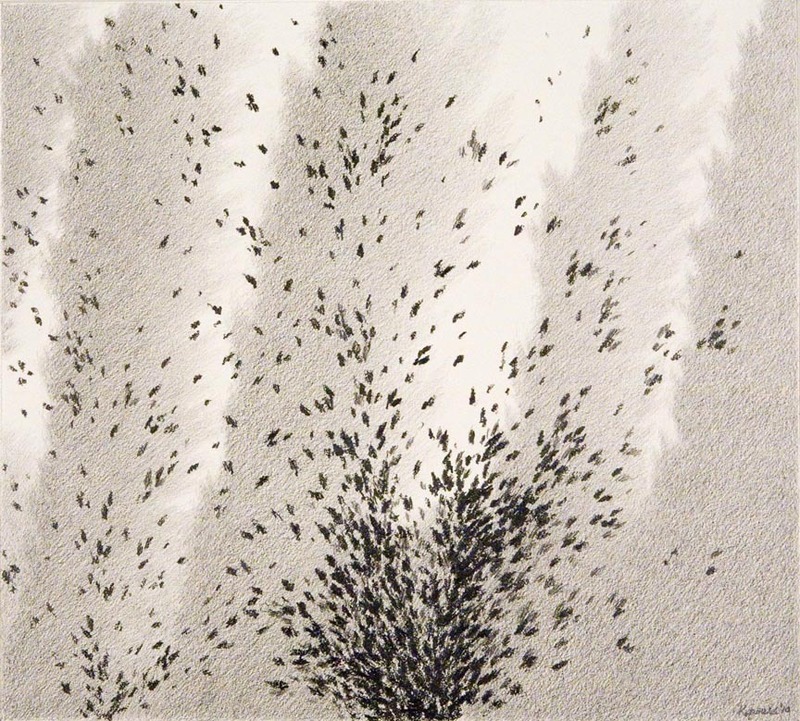 In 1968 he discovered lithography and connected to that form of printmaking for the next twenty-two years. 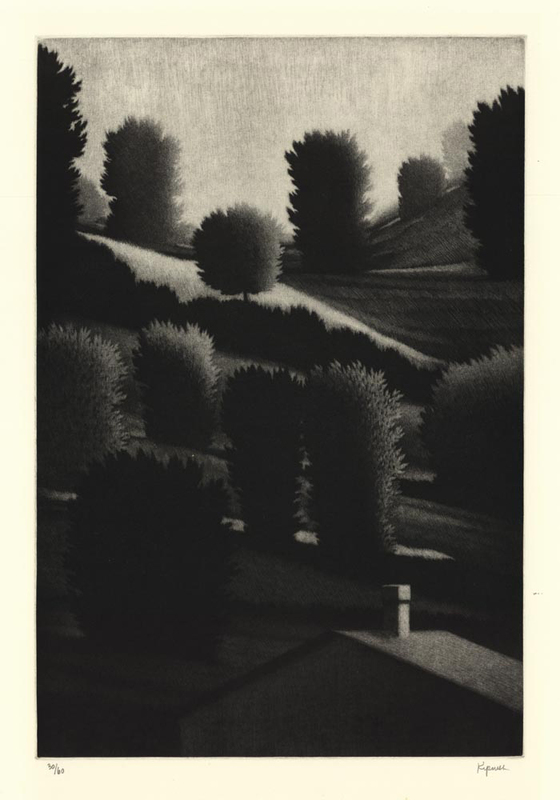 Working with the master printers at George C. Miller in New York, he produced over 400 lithographic images. 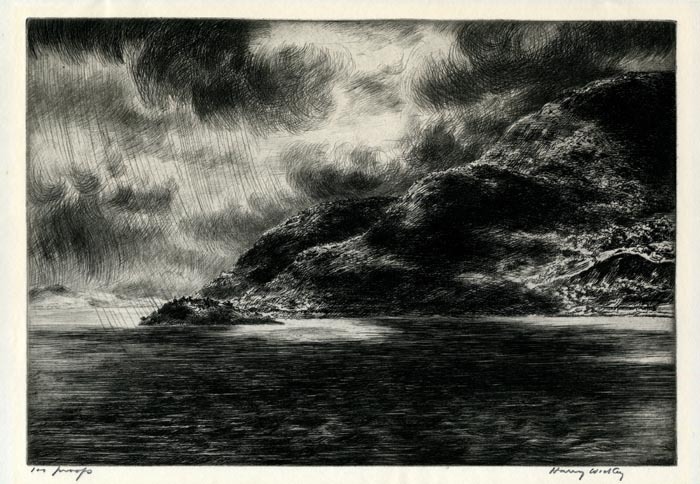 After Miller closed, he went back to intaglio, producing primarily mezzotints with an occasional drypoint. Kipniss paintings and prints are in over seventy-five museums worldwide and many private collections. 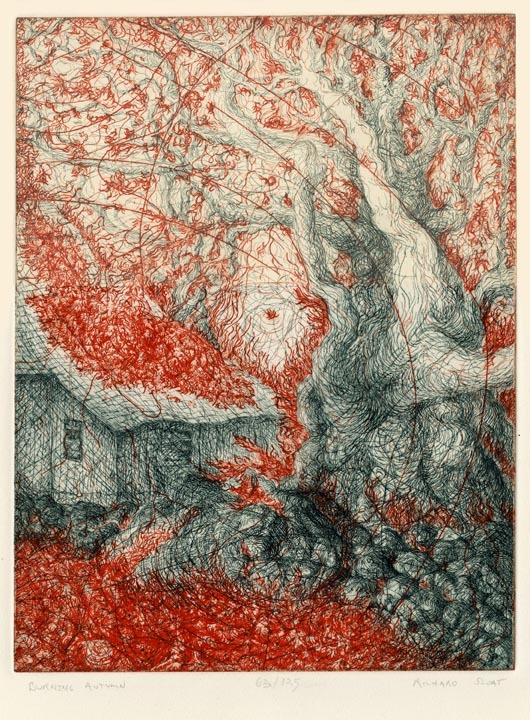 He is a member of the National Academy in New York, The Royal Society of Painter-Printmakers in London, The Society of American Graphic Artists, and the Century Association. Eaves with Dark Window. Robert Kipniss. Pencil drawing on mylar, 1990. Image size 13 1/2 x 13 1/2″ (343 x 343 mm). Afternoon Breezes. Robert Kipniss. Pencil drawing, 2010. Image size 14 15/16 x 16 1/4″ (380 x 420 mm). Today we have a new Past/Present post to share, of beautiful fall foliage. With our mild- tempered fall, the trees in the the Washington area still have many of their vibrant and colorful leaves. It is a real joy to be surrounded by trees that are bursting with such color- rich reds, bright yellows, and lovely shades of deep green and orange fill up the horizon. 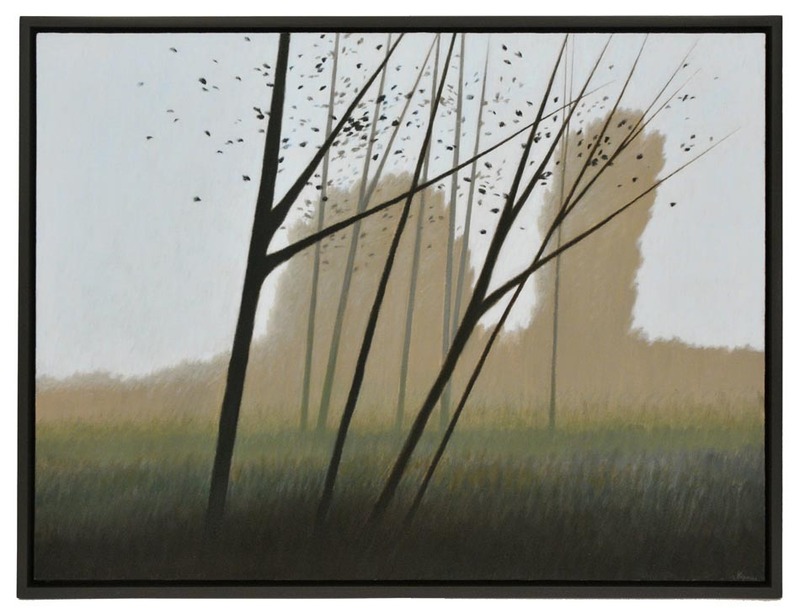 We think these two prints, one by early 20th century woodcut master Gustave Baumann and the other by contemporary NY artist Richard Sloat, capture the beauty of this long fall season. Hope you enjoy! Image on Left: The Sycamore. By Gustave Baumann. 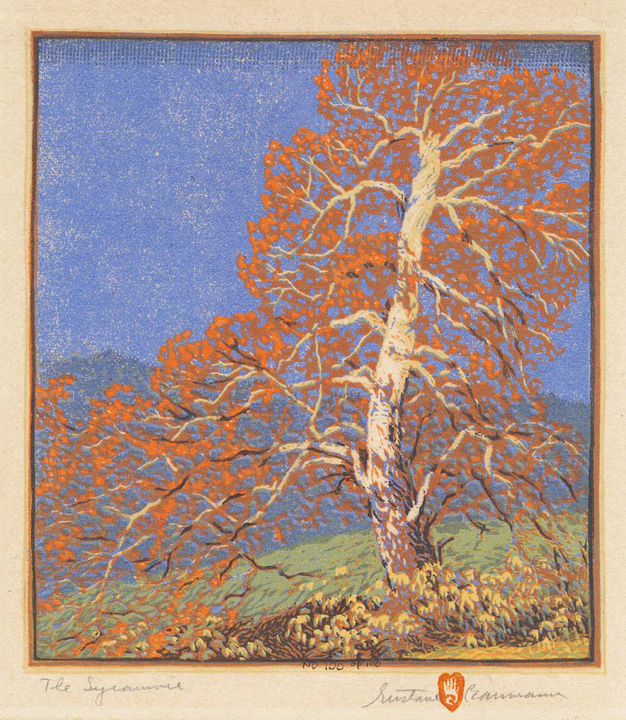 Woodcut, printed in color, 1920. An early impression, with solid border. Ed. 100/100. Image on Right: Burning Autumn. By Richard Sloat. 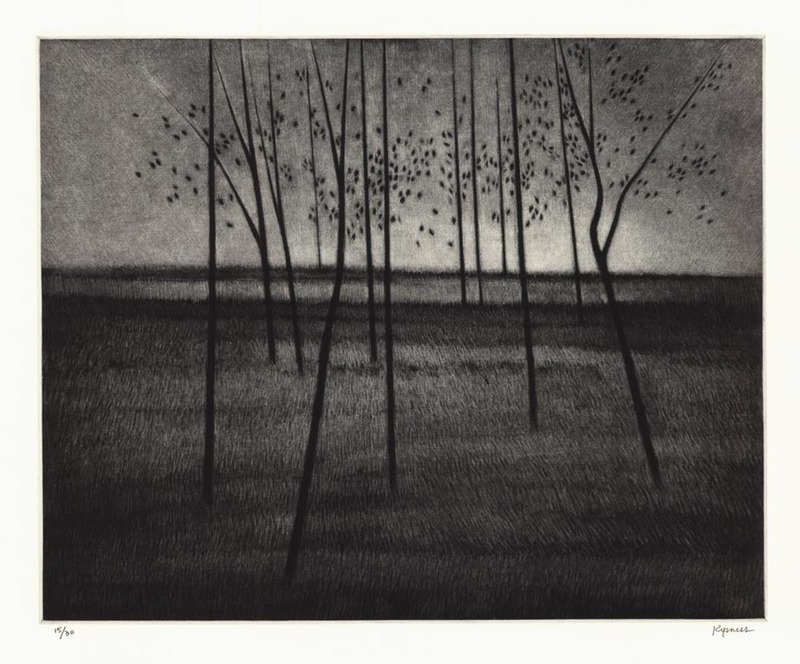 Etching, 1976. Ed. 63/125.